Swag Craze: Not Your Average Skate Sneaker! The PUMA x Diamond Supply Co. ‘Classic Suede’ Drops Soon! Not Your Average Skate Sneaker! 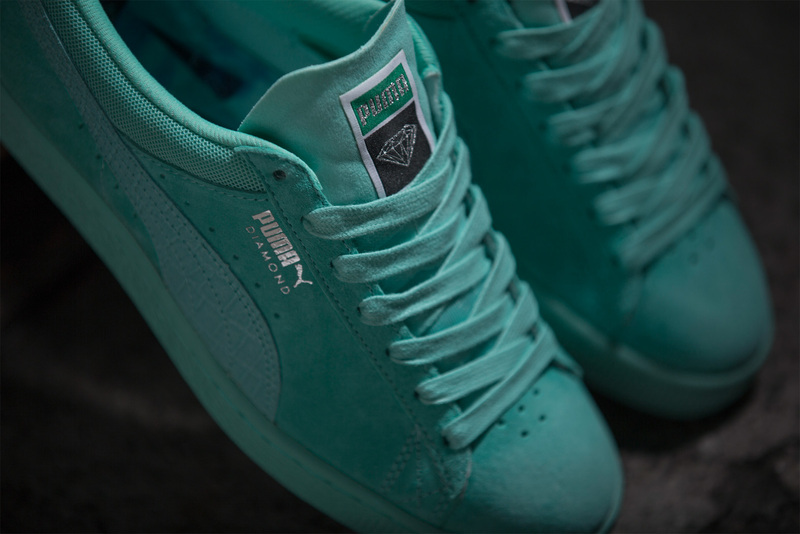 The PUMA x Diamond Supply Co. ‘Classic Suede’ Drops Soon! 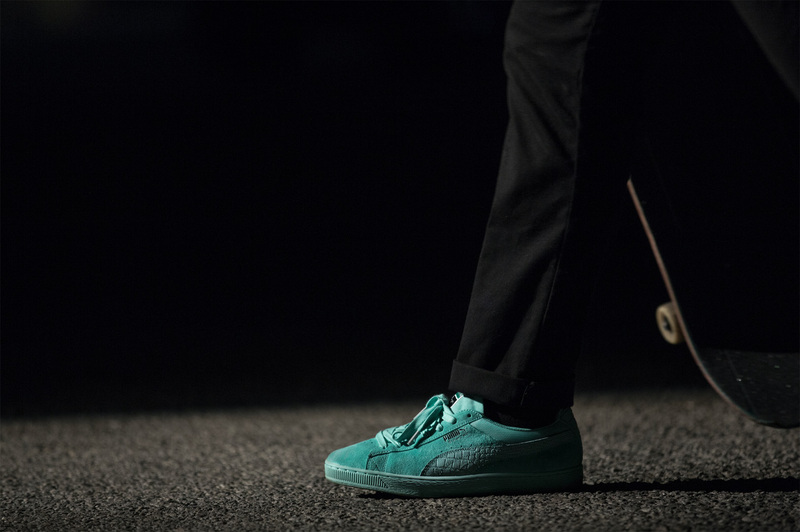 PUMA and Diamond Supply Co. released their first-ever collaboration, the PUMA x Diamond Supply ‘Classic Suede’, which is inspired by 90s skate culture. Since its debut in 1968, the PUMA Suede has become a benchmark for footwear design, and enjoyed an amazing run as a cultural artifact from one of the most progressive and historically significant eras of the twentieth century. Made famous by athletic greats - 60s trackstar Tommie Smith and 70s basketball legend Walt "Clyde" Frazier - the Suede hit new levels of fame during the 80s dawn of b-boys and hip hop beats, taking over New York City blocks. Eventually, the sneaker found its way into sticky mosh pits headlined by punk acts and then on to skaters pulling tricks on a half-pipe. PUMA and Diamond Supply have updated the iconic sneaker with features required for a skateboarding shoe. The trifecta pack looks sleek and clean in tone-on-tone colouring, but is action packed with comfort and durable materials for a smooth ride. The standard PUMA Suede tongue construction is tweaked with elastic straps on the side, while the vamp area features 5 perforated holes. The collar lining is reinforced with a tough mesh material and more padding is introduced to the lining. Finishing off the design is a molded removable sockliner. The PUMA x Diamond Supply “Classic Suede” pack comes in White, Black and Aruba Blue colourways. The sneaker drops on Saturday, 17 December 2016.